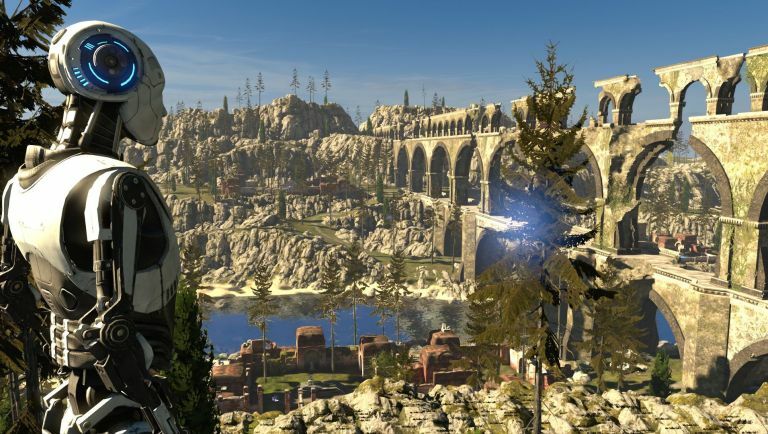 In a pleasantly surprising turn of events, it turns out the excellent The Talos Principle is getting a sequel. The unexpected announcement was made at a Nordic Game presentation by Croteam's Alen Ladavac. Shortly after, event organiser Damir Đurović tweeted, "Yes, 'Talos Principle 2 is going to happen' confirmed by @AlenL @Croteam on stage @NordicGame 2016!" Then Croteam's official account retweeted the message to its 5,000 followers. That sounds like an official confirmation to us. The original Talos Principle - which holds a Metacritic score of 85 on PC and 88 on PS4 - arrived on PC, Mac and Linux back in 2014 where it garnered both rave reviews and something of a cult following. Last year it was ported to Android and PS4 and continued to prove a hit with gamers. It's combination of first-person exploration and puzzles mixed with themes of humanity, identity and existentialism made for one of the most unusual games of the last few years, so if you enjoyed The Witness or the likes of Ether One then The Talos Principle is definitely worth a play on PC or PS4.